© Provided by Fox News A 15-year-old middle school student in Florida brought this bag of THC-laced chips to school, police said. A 15-year-old girl was arrested at her Florida middle school for allegedly sharing pot-laced chips with her classmates. 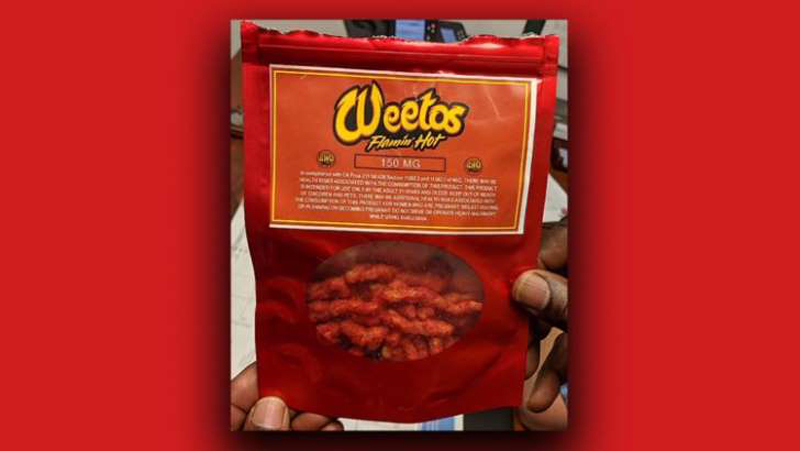 Hollywood Police said at least three students at Driftwood Middle School got sick earlier this week after they ate the THC-laced chips labeled as “Weetos Flamin’ Hot,” which resemble a bag of Cheetos. Officials said the teenager admitted to bringing the snacks into school and sharing them with her friends, who she said knew they were laced with THC, the ingredient in marijuana makes people high, WSVN reported. Police said one student was transported to a nearby hospital, while another student is said to have hallucinated after ingesting the product. The third student was carried out of school by her father because she couldn’t walk, CBSMiami reported. He said his 14-year-old sister told him the texture and flavor was the same as Cheeto. Police said the effects of the THC eventually wore off. The girl told police that a man gave her the snacks. The man has not been identified as it is part of an open investigation, a Hollywood police spokeswoman told the Sun-Sentinel. Weetos is based in California, where the product is legal. The label on the package warned of possible health risks for consumers who should be 21 or older. The company’s owner and creator, Rod Emerson, told reporters that the product the students ate was a bootleg as he only distributes within California. The teenager who took the chips has been charged with possession of THC and has been suspended for 10 days. The school is reportedly considering her expulsion. She has since been released to her parents.